Toshiba C55-A-1N0 15.6" Gaming Laptop 4th Gen Core i5-4200M l 4GB RAM 750 GB HDD. The Satellite C55 series with Intel processors offers great value and great quality for everyday computing and features a 39.6cm (15.6") display. It is available in a choice of silver, black or white gloss finishes with a tiled keyboard and integrated numeric keypad for added convenience and ease of use. Extensive connectivity is included with SuperSpeed USB 3.0 and HDMI port. The Satellite C55 features a streamlined 'U'-shaped design in a choice of silver, black or white gloss finishes with tiled keyboard. Underneath, you'll find an Intel processor, spacious storage and fast memory to give you performance worthy of this striking design. The 39.6cm (15.6") TruBrite HD screen with LED backlighting, displays high definition videos, games and photographs with pin sharp clarity and vivid colours. These images are driven by an efficient Intel processor, along with fast RAM and a spacious hard drive -- ideal for storing all your favourite movies and music. The Toshiba Satellite C55 comes with a spacious full-size tiled keyboard with numeric keypad. This is ideal for applications such as spreadsheets, and will ensure that typing on the C55 is always a comfortable experience, wherever you are. The large multi-gesture touchpad echoes the colour and design of the laptop itself. 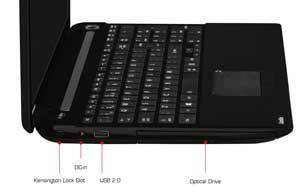 See some of the features of the Toshiba Satellite C55 laptop. By connecting to a compatible USB 3.0 device, such as an external drive, SuperSpeed USB 3.0 can offer up to 10 times faster transfer rates than USB 2.0 standard. This means that files and folders that took hours to transfer take minutes, and you can move whole albums to and from your laptop in just a few seconds, saving you time and making your media much more portable. Not only is USB 3.0 fast, it's also convenient. You'll still be able to connect and charge all your favourite USB 2.0 devices from your USB 3.0 port, such as your MP3 player or smartphone. 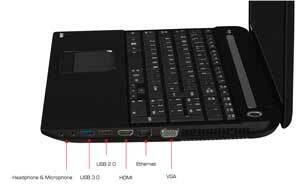 The Toshiba Satellite C55 has an integrated HDMI port for added convenience and enhanced usability. 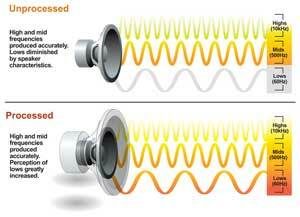 You can connect your laptop to an external device and stream high definition content. When using HDMI, audio and visual content are streamed through a single cable, removing the need for multiple connections. You only need one cable, making connecting your laptop easier and tidier. The Satellite C55 features an integrated HD web camera. The camera and microphone let you see and hear your contacts online, and can take still pictures, video clips and audio notes. With Toshiba's integrated webcam communication is made easy -- network with friends and family from the comfort of your own home. 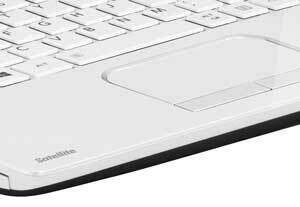 The Satellite C55's touchpad features multi-touch gesture support, providing an innovative alternative to conventional scrolling and buttons. The touchpad features an advanced, touch-sensitive interface solution that senses the position of a finger or fingers on its surface and recognises pinching, swiping, and rotating motions performed by simply moving your fingers.